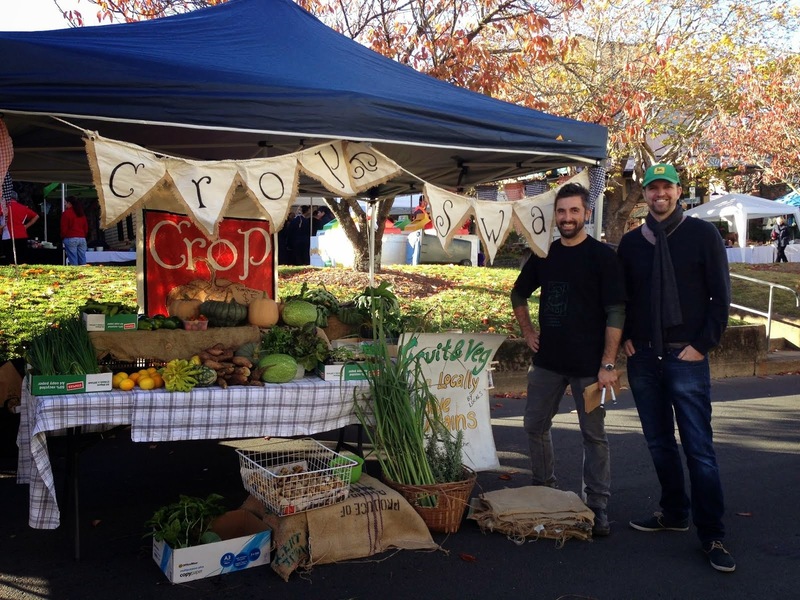 What a privilege to be at yesterdays inaugural 'crop and swap'. Slug - crawled out of my salad at lunch. The salad was delicious we must say (and definitely fresh!) Thanks Mitti, Alice and Nadia. Thank you everyone for feeding the community....literally. Mitti, Alice & Nadia, your salad was to die for! Enjoyed it at a family lunch yesterday. And yes, I had a slug too but luckily for me, it crawled out before the salad got to the salad bowl. Jo & Joe, thanks so much for a priceless experience! Looking forward to next Crop & Swap. P.S. I think you need to adjust your clock on the blog!!! (I think it's done in settings). Thanks to Steve and Annemaree too!!! Such a pleasure meeting you all on that fine Saturday morning. Jo, Joe, Annemaree, Steve and others who played a part in putting this together - bloody good job! What a pleasure to have been part of this event!!!!!!!!!!!!! Thank you to all the people who have organised it. We had such great time learning, swapping and meeting new people. I am already looking forward to the next Crop and Swap........until then I shall carry my Crop and swap bag with pride, and develop ways of opening Macadamia nuts............ My favourite...... oh hard to say anything homemade really. I just had such a good time. I am enjoying also reading the books that we borrowed. As for Nadia...... the silkworms must have been the biggest hit for her......... followed closely by the homemade lemon iced shortbread. Thank you all for adding to the experience of a very welcoming and inviting crowed. P.s. any snail on your plate or your salad is one less in my veggie garden............ Sorry!!! oh! how i would have loved to have been there! it would have been such a blast to be part of such a great community experience! I have to have one of these bags! can you email me your bank details at mwalters@swalters.com so i can get you the money? i'll add a bit for postage and handling too!